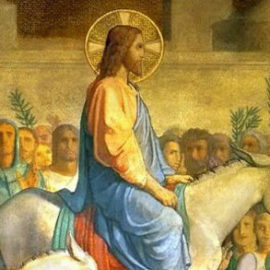 We are about to embark on the final week of Lent before Holy Week. With all these sunny days and spring obviously on the way, it can be hard to remember the penitential mood of Lent. And it is true that the outcome of Lent is a cause for joy! Regardless, we encourage you to keep persevering with your sacrifices and prayer– Jesus’ glorious resurrection and triumph will be here soon! After praying over what to write about, we felt called to focus on redemption for this week’s Cause of Our Joy. It seemed like an appropriate follow-up to our focus on confession last week and it gels very nicely with this Sunday’s readings. Hopefully you’ll find the following articles and resources helpful! In this Sunday’s first reading from Isaiah (see below), we hear the words, “Remember not the events of the past… see, I am doing something new!” Sin has the tendency to make us feel unworthy, used, and unwanted. 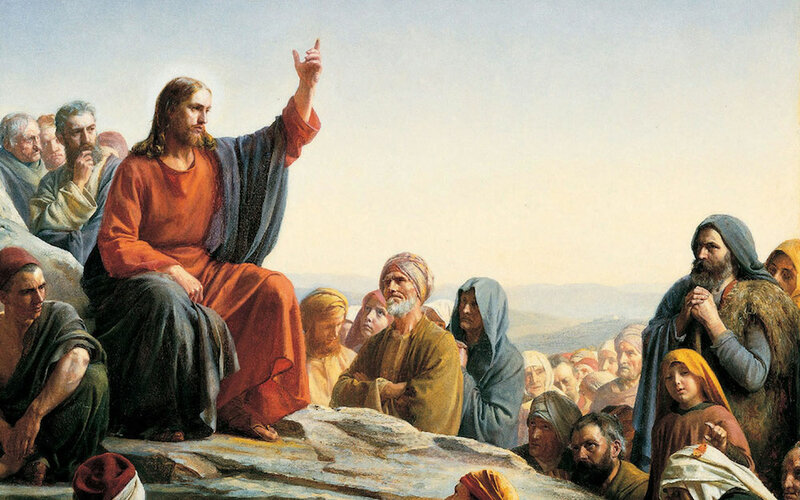 Jesus’ words to us are very different. Lent is the perfect time to come to be healed and allow Him to make you new! Catholic Exchange’s article on this topic is fantastic! If you like to praise God through song, this music video is beautiful and speaks eloquently to how Christ makes all things new! It’s not uncommon to hear things like, “I should have been born 50 years ago.” Or, “There’s nothing like the good old days!” We long for another time when things seemed to be simpler and life was easier. But, it’s important to remember that you were born and redeemed for this time and for a purpose! This article from the National Catholic Registerspeaks to how essential you are for this moment in human history! Archbishop Chaput recently gave a talk titled, “Facing the Future With Hope and Joy” to a group of seminarians at the Pontifical College Josephinum in Columbus, Ohio. Chaput said, “To borrow from St. Augustine, God made us to make the times, not the times to make us. We’re the subjects of history, not its objects. And unless we make the times better with the light of Jesus Christ, then the times will make us worse with their darkness.” He had some very encouraging things to say about holiness, humility and love renewing the life of the Church. The movie Unplanned, about Abby Johnson, a former Planned Parenthood employee, opened nationwide last week and it is rocking the boat! Despite obstacles and spiritual warfare, the film is making headlines and changing hearts. Praise God! If you would like to add your involvement to this “prolife moment” in America, consider participating in the National Planned Parenthood Prayer Protest taking place next Saturday, April 13th. The Marian Center is sponsoring the protest in Petoskey! Check here to see if there’s an organized prayer protest in your area! Holy Week will be upon us very soon. Here is a link for some great activities to do with the littles in the next two weeks. Mary Hasteline at Better Than Eden has a really neat idea for what her family calls Our Passion Cross. It’s kind of a Lenten/Passion equivalent of the Jesse Tree. Easter baskets are a tradition in many families, but it’s easy to forget about them and leave them until the last moment, which can distract from focusing on the Triduum. Here are some cute ideas for Easter baskets. And, if you’re in the Petoskey area, the Marian Center has some great items for your little saint-in-the-making! Oftentimes we think of the work of redemption being done by Jesus alone, and that is actually true. 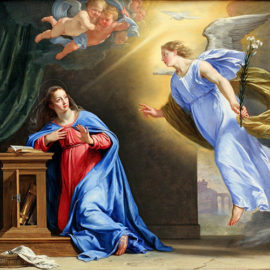 However, it is important to note that Mary had a hand to play in cooperating with God’s plan to redeem us.EWTN has an informative piece on Mary’s role in Jesus’ saving work. On April 11, we will celebrate the feast day of Saint Stanislaus of Krakow. He is considered one of the primary patrons of Poland and his story is powerful. Let us pray that our bishops will be as strong and holy when upholding the Church’s teachings in our modern times! As mentioned above, redemption is a big theme in this Sunday’s readings. If you’d like to take a look at them, they can be found here. The Gospel tells the story of the woman caught in adultery. 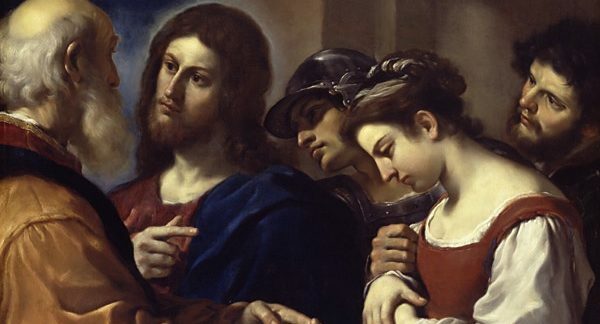 This article titled “9 Things You Should Know About the Woman Caught in Adultery,” is short and easy and we found it enlightening in understanding the Gospel more deeply. 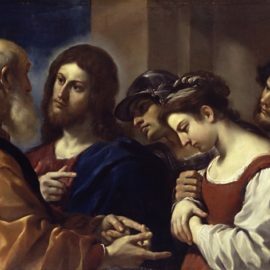 The story of the adulterous woman is a story of mercy, but it is also about justice and admonition (“Go, and from now on do not sin anymore.”) This article, Lessons in Mercy, speaks to God’s mercy but also His justice. P.P.S. Join us for a community potluck on Friday, April 26 to celebrate the Resurrection of Our Lord. We start with a Rosary at 5:30 p.m., followed with dinner and family-friendly activities.